Logan Williams, founder of Biome, which turns the invasive weed didymo into sustainable fabrics and plastics. New Zealand’s first business accelerator for Māori entrepreneurs has finished and its graduates have goals much wider than just making profits. The ventures range from medical cannabis; to a process turning the environmentally damaging didymo into fabric; and a digital tool for millennials learning te reo Māori. While many of us have just been trying to stay warm this winter, some of our country’s most promising Māori entrepreneurs have been dreaming up ways to make Aotearoa a better place. The ventures range from medical cannabis, to a process turning the environmentally damaging didymo into fabric, and a digital tool for millennials learning te reo Māori. And, in its first year, the government-backed accelerator has finished with more than half of the 10 companies on the programme attracting investment. Kōkiri programme director Ian Musson says he is “thrilled” with the result. “Māori entrepreneurs have long been looking for ways to create socially sustainable businesses – and Kōkiri has helped them to do exactly that. Musson says the first-of-its-kind accelerator is redefining how entrepreneurs traditionally view success. “Kōkiri is not just about attracting investment or growing a business to a point where it can be sold for a profit. Take, for instance, young entrepreneur Logan Williams. In 2016, the 22-year-old from Christchurch noticed the invasive algae didymo growing in the waters of the Tekapo River, and since then has sought to find a solution. “Initially it was just about cleaning up our waterways, but then I realised there was a business opportunity beneath the surface,” he says. 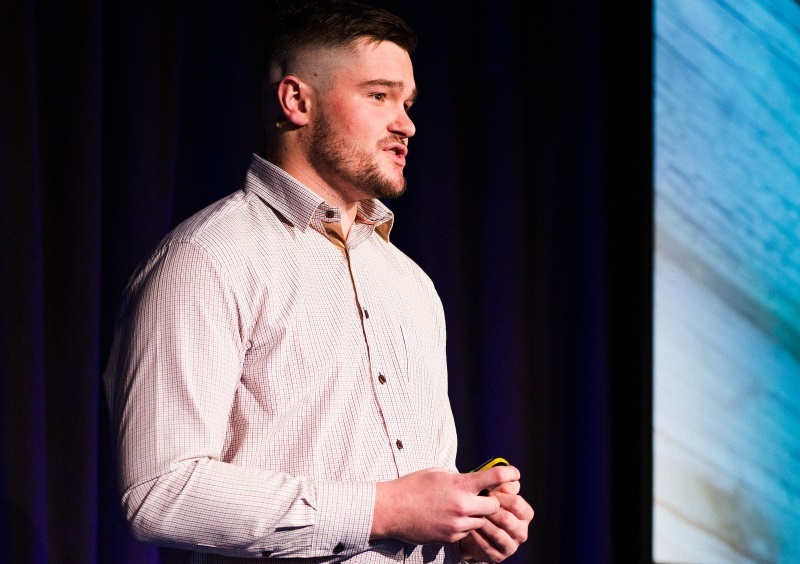 The innovative idea earned the University of Canterbury student a spot on Kōkiri, making Williams the youngest entrepreneur to have participated in the programme. Williams is also known for his Polar Optics invention – contact lenses that help sufferers of photosensitive epilepsy – and was one of the 10 shortlisted nominees for the 2018 Young New Zealander of the Year Award. Mr Musson says Kōkiri has been specifically designed to recognise Māori have strong links to place, which has been a barrier to their participation in mainstream accelerators. 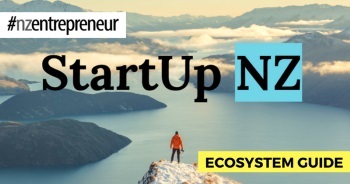 After 16 weeks of participating in the accelerator, the Kōkiri entrepreneurs pitched their ideas at a “showcase event” in Auckland last month in the hope of attracting ongoing support. Five companies secured investment with the remaining waiting for deals to close. Te Wānanga o Aotearoa innovation development group director Aisha Ross says there was an “overwhelming amount” of positive feedback to the different ventures and the [showcase] evening itself. “This related to the growth and development of the ventures, the execution of the event, the Kōkiri Business Accelerator kaupapa, Te Wānanga o Aotearoa and its partner organisations,” says Mr Ross. The showcase, which was held at Air New Zealand’s headquarters on June 15, attracted more than 120 guests – including Callaghan Innovation chief executive officer Vic Crone and New Zealand First deputy leader Fletcher Tabuteau – and marked the culmination of the start-ups’ four-month participation in the accelerator programme. Mr Musson hopes that, as this first round of Kōkiri was successful, Callaghan Innovation and others will commit to funding a second programme later this year. “We’ve tried to make that inevitable,” he says. The Kōkiri programme also has support from MYOB, Air New Zealand, Spark, and more. MYOB general manager Carolyn Luey said the company is delighted to team up with Kōkiri to help Māori entrepreneurs get market and investment-ready. “We see Kōkiri improving the breadth of our country’s start-up sector at the same time as supporting Māori-based businesses and entrepreneurs to scale up. We need to keep developing the conditions that nurture and develop the start-ups coming through, and couple them with frameworks, like Kōkiri, that can help turn a good idea into a great business,” she said. More than 100 budding entrepreneurs across New Zealand had applied to take part in the programme, with just 10 businesses making the cut. Moving Pros (Tauranga, Auckland) – A company that makes it easy to compare multiple moving quotes from one place. SeeCom (Hamilton) – Prototyping the world’s first digital Interactive Sign Language Game, a virtual game-based experience of learning sign language through means of interaction and movements in front of digital screens. Biome (Christchurch) – Turns didymo, the pest algae, into a range of practical materials. These high-quality materials are produced sustainably and strive to improve the New Zealand environment. Origins (Whangarei, Auckland) – A cloud-based platform that provides complete visibility of the of the food and authentic products supply chain from supplier to end consumer. social, ecological, economic and cultural regeneration through enterprise in rural and urban communities. The Realness (Auckland) – The new way to find owner-operated providers across multiple sectors without having to rely on review sites, advertising platforms, opinion sites, magazines and mainstream media. Arataki (Tauranga) – A mobile app that enables users to receive information about sites of cultural significance using a custom mobile application and proximity technology. MyReo (Huntly) – Providing millennials with the digital tools and resources they need to learn, practice and grow in te reo Māori. Hikurangi Enterprises (Ruatoria) – Creating sustainable futures for the East Coast of New Zealand through the development of a regional business growth hub to support their mission of a healthy and wealthy whanau and whenua. Akudos (Whangarei, Auckland) – Making people feel valued through a cloud-based awards management system designed to streamline the awards process from beginning to end.